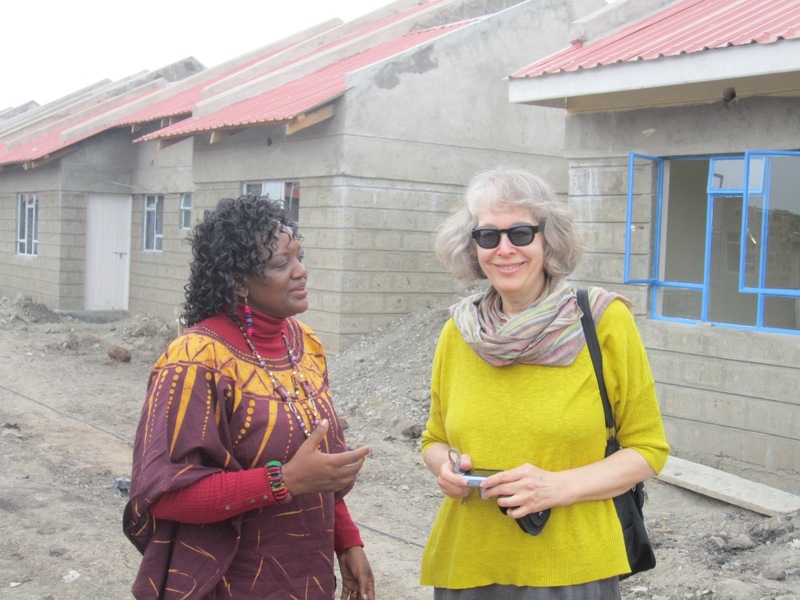 Jo Ferris-Davies, Senior Technical Advisor, Rooftops Canada with Mary Mathenge (left) CEO, NACHU in Kenya. I have been hired by Rooftops Canada as a Senior Technical Advisor working with Social Housing Institutions (SHI’s) through NASHO, the SHRA (government regulatory board) and municipalities to establish sustainable mechanisms to promote efficient development and maintenance of affordable, secure, equitable housing in South Africa. Am I excited? Absolutely. Am I nervous? Absolutely. I will be leaving my friends, neighbours, and family. And I am going to have to drive – something I haven’t done in eight years. And I might add – driving on the other side of the street. But I have my visa and plane ticket so I am going. I also have a massive list of to do’s to work my way through before leaving for the airport. As a somewhat recently retired non-profit housing association worker, you might ask yourself why am I doing this? I have developed my elevator speech (a 1 or 2 minute succinct and comprehensive presentation) as everyone I have told asks me this. There are always reasons for not doing something. I am too old. I like sleeping in every morning. I have had cancer. I love my community and don’t want to move. But there is a tremendous reason for being involved too. Being a part of a very large affordable housing supply program helping thousands of people is a hugely compelling reason. Being able to leverage my skills and insights to assist the South African affordable housing sector is another great reason. But the final reason why I chose to apply – is I believe we are never too old for an adventure. And I fully expect this to be one. So please stay tuned for further postings.